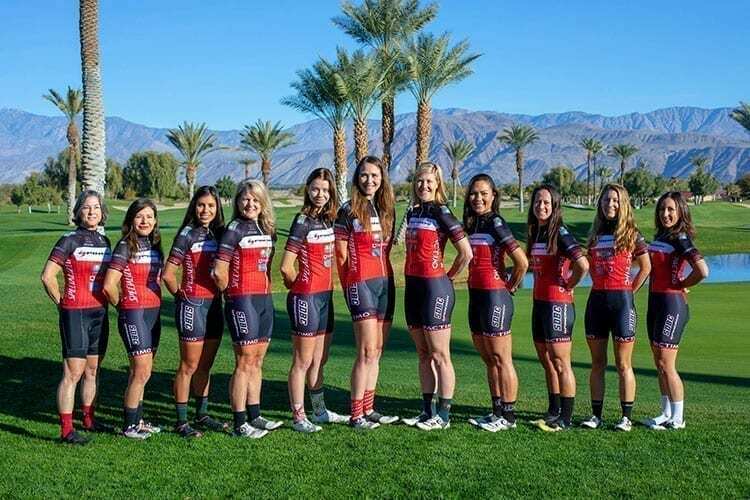 The new-look SDBC Powered by Spinergy p/b UC Cyclery cycling team has announced its 2019 racing rosters, title and supporting sponsors and is fresh off a three-day training camp in Borrego Springs January 18-20. The long time San Diego racing and recreational club is proud to have Spinergy as its title sponsor for the first year. Established in 1991, Spinergy is a pioneer in developing revolutionary wheels in the world of high performance bike wheels for both road and off-road purposes, as well as wheelchair wheels. Team colors will align with Spinergy’s red, white and black, a significant departure from the green of past few years. Supporting sponsors of the team include UC Cyclery, Specialized, Bonnici Law Group, PurelyCloud, Fluid Sports Nutrition, Roka, Sheffield Platers, Solana Beach Coffee Company, The Physical Therapy Effect, Milikowski Tax Law, Specialty Produce, and Pactimo clothing. Rosters have been beefed up in each racing category, including Men’s Cat. 3, Men’s Cat. 4/5, Women’s 4/5, Masters, Juniors, and Mountain Bike teams. No other Southern California team will bring as much depth, at every level, as SDBC in 2019. Visit the team’s pages on SDBC.org for details. The men’s and women’s Cat. 1/2 teams include up-and-coming previous SDBC members, as well as newcomers. UC Cyclery will be the proud team sponsor. Members will ride Specialized bicycles with latest Spinergy carbon race wheels and wear Specialized helmets and shoes provided by UC Cyclery. They will target primarily Southern California events. 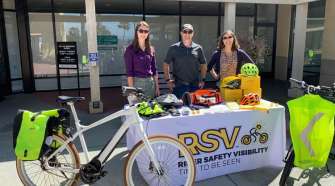 More than 50 team members recently wrapped up a weekend full of riding and team-building activities in the desert town of Borrego Springs. 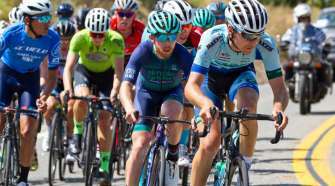 Upcoming target races include the UCSB Road Race and Roger Milliken Criterium, January 26 and February 10. 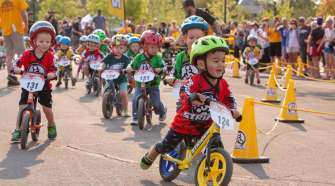 SDBC hosts the annual Barrio Logan Grand Prix, set for April 27 as part of SCNCA district junior criterium championships and the Fiesta Island Time Trial Series. Visit SDBC.org for more information.